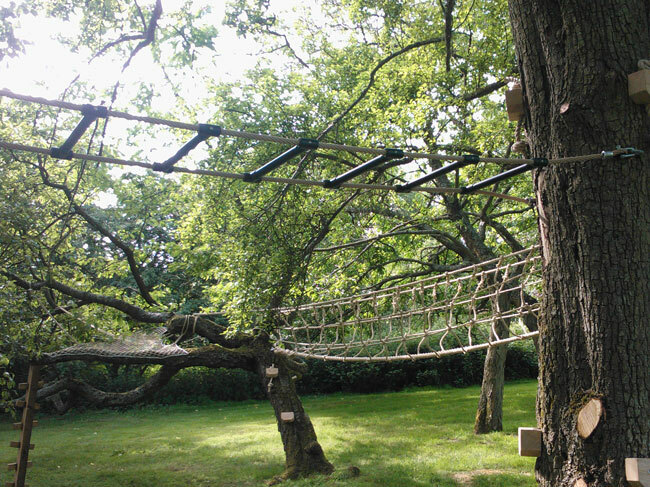 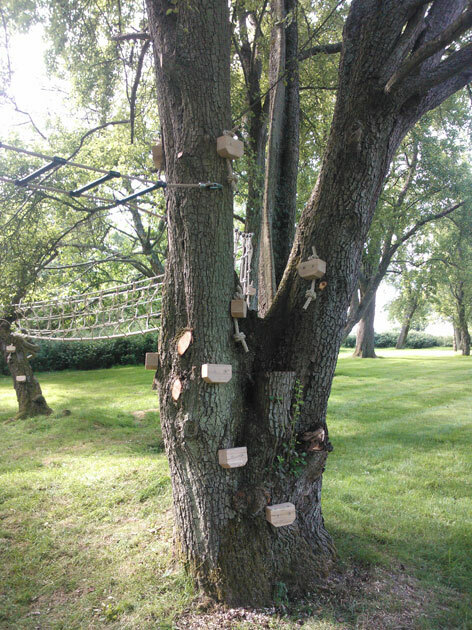 An adventurous series of tree climbing rope activities to get the children up in amongst the branches and stretching their physical skills. 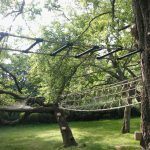 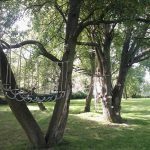 The series includes natural wooden climbing blocks to get them up onto the first challenge, trapeze bars (to hang down from), jungle bars (to walk across…..! 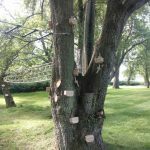 ), V bridge – Indiana Jones style – knotted ropes (Tarzan?) 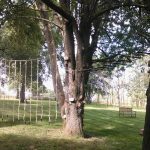 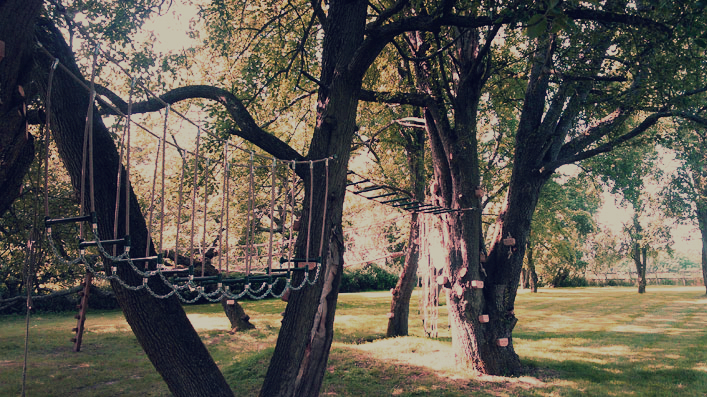 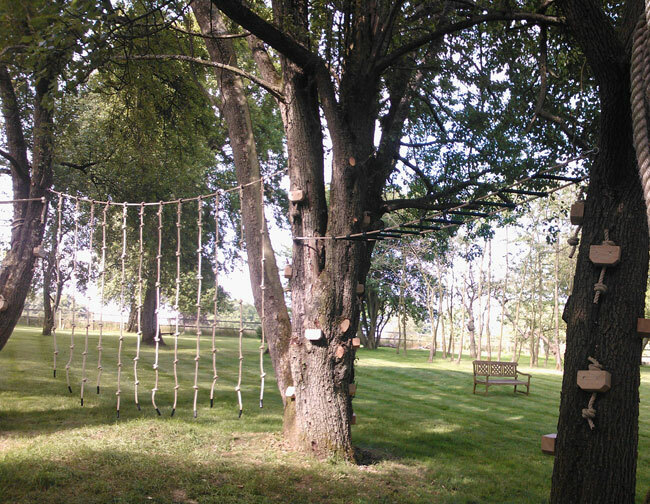 and a rope-net hammock strung amongst the branches of an apple tree. 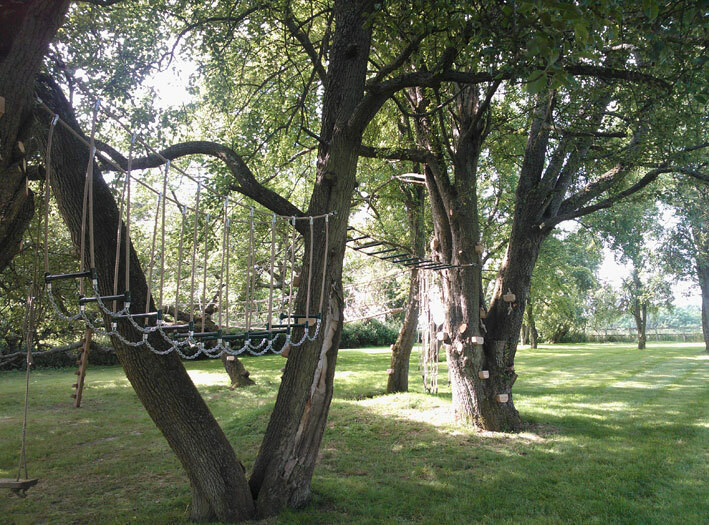 Completely bespoke and tailored to the trees.